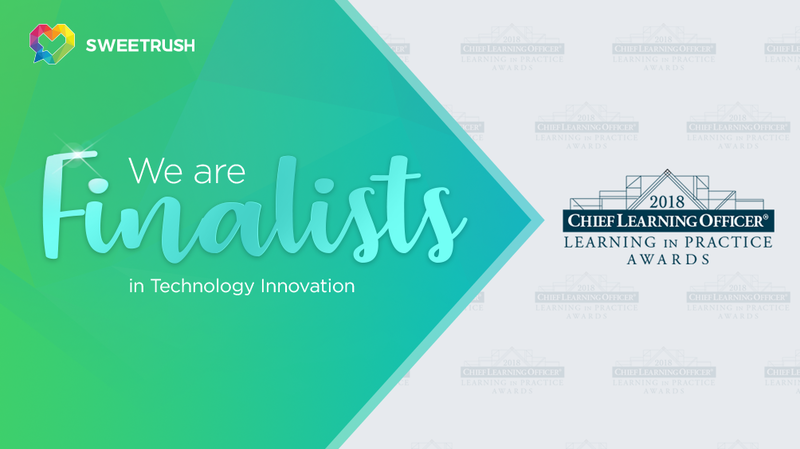 San Francisco, Calif., September 3, 2018 — Chief Learning Officer (CLO) recently revealed their list of finalists for the CLO Learning in Practice Awards 2018, and SweetRush was shortlisted in the Excellence in Technology Innovation category. The company was recognized for its work with client-partner Hilton, developing a virtual reality learning program that mixes 360-degree video and hands-on 3D activities designed to build empathy. With the nomination, SweetRush has secured either a gold, silver, or bronze award, which will be announced during a special ceremony held on October 2. Established in 2003, the Learning in Practice Awards recognize learning leaders who have demonstrated excellence in the design and delivery of employee development programs. You can find the complete list of CLO Learning in Practice Awards 2018 finalists, listed by category, on CLO’s website.